Scooter enthusiast Simon Rawlings takes a look at whats on the market in the way of new 'retro' styled automatic scooters. There’s never been a better time to ride a ‘retro’ styled scooter - without having to resort to oily fingers and roadside maintenance on a damp Monday night on the way home from work. Believe me, as a Vespa owner and rider for more than 30 years I’ve done my fair share of that! 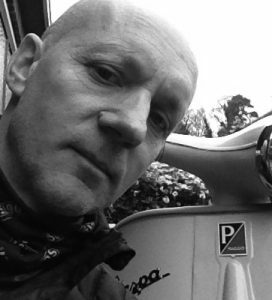 So, two years ago I did the unthinkable; as a traditional scooterist and owner of a 1961 Vespa 125, I purchased an automatic scooter for the daily commute, to save my pride and joy from the rigours of the English winter. The first few days were tough. I kept trying to twist the left handlebar to change gear and stamp my right foot on the floorboards to try and activate the rear brake - but once I’d got used to these oddities it quickly became fun to ride. The scooter I purchased was a new AJS Modena 125, basically a re-badged Lexmoto Milano. OK, it may be plastic bolted onto a steel frame but it’s not all bad. The engine is a GY6 and it’s a proven unit, the scooter will do 60 on a good day - and because the bodywork is plastic it won’t rust and panels can be replaced if they get damaged. The main difference between manual geared scooters and automatic is simply that – a traditional scooter has a manual 4 speed gearbox with a selector on the left handlebar. They usually have a 2-stroke engine that runs on a mix of petrol and oil. The big advantage of a traditional scooter is that it is easier to maintain yourself. However, for the commuter the push button start and twist and go factor of an auto are a big plus! 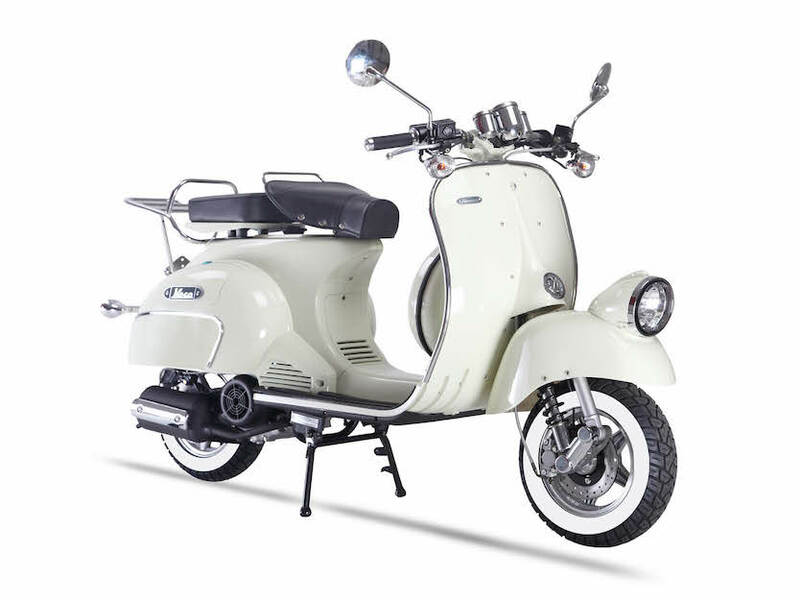 LML scooters were originally licenced built Vespas, manufactured for the domestic Indian market. They have developed the brand and now produce both manual geared and automatic ‘classic’ PX style scooters. The Star auto is based on the Vespa PX chassis, a very clever adaptation that Vespa should really have explored themselves. 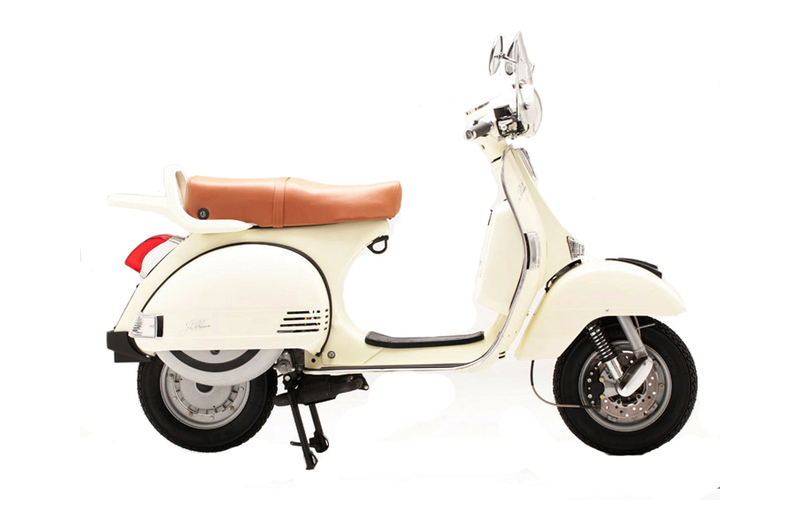 LML also build a Star Lite, based on the small frame 1980s Vespa PK range. My Verdict:As close to a classic as you are going to get and has true Vespa heritage. 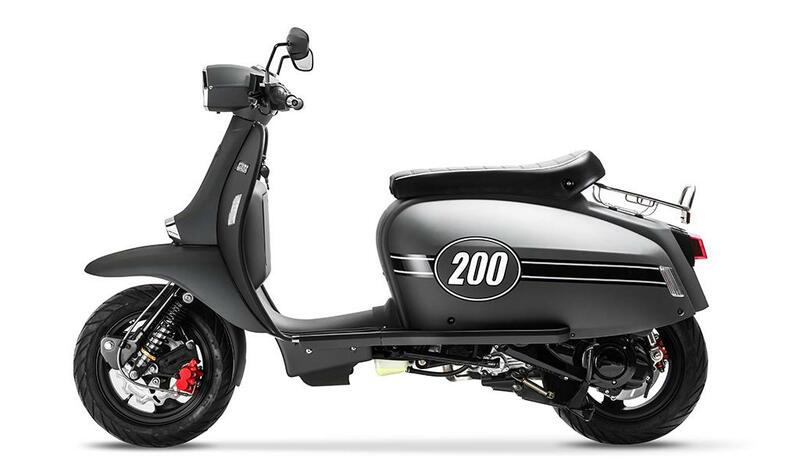 The Scomadi is a new kid on the block, designed in the UK by Lambretta experts PM Tuning and Scooter Innovations. Officially launched at the EICMA Show in Milan in 2013, it is based on the Lambretta Grand Prix scooter. The different versions available are the Air cooled TL50, 125 & Liquid cooled 200. Considered to be bit of an imposter, the AJS Modena is a Chinese built scooter (imported by British company AJS Motorcycles) with no true scooter heritage. That said, it is incredible value for money and now has a great following in the UK. It could be said it holds the true ideal of the original Vespa in that it provides cheap stylish transport for the masses. As mentioned earlier, I’ve owned one for two years and apart from some of the component parts such as the battery being poor quality, it’s is pretty a solid, reliable machine. The Neco Abruzzi is very heavily styled on the early, classic Vespa shape, including a mudguard mounted headlight version reminiscent of the first Vespa 98 - the ‘Farro Basso’. Powered by a GY6 engine, the Neco boasts disc brakes front and rear and a digital dash, plus plug-in diagnostics. The 125 version appears to have been discontinued in 2017, with just the two Abruzzi 50cc versions now available. Just to confuse things, the Royal Alloy GT scooter is basically a Scomadi!! Scomadi fell out with the manufacturer in China and set up a new operation in Thailand, then the Chinese manufacturer – Hanway – decided to build a scooter anyway! 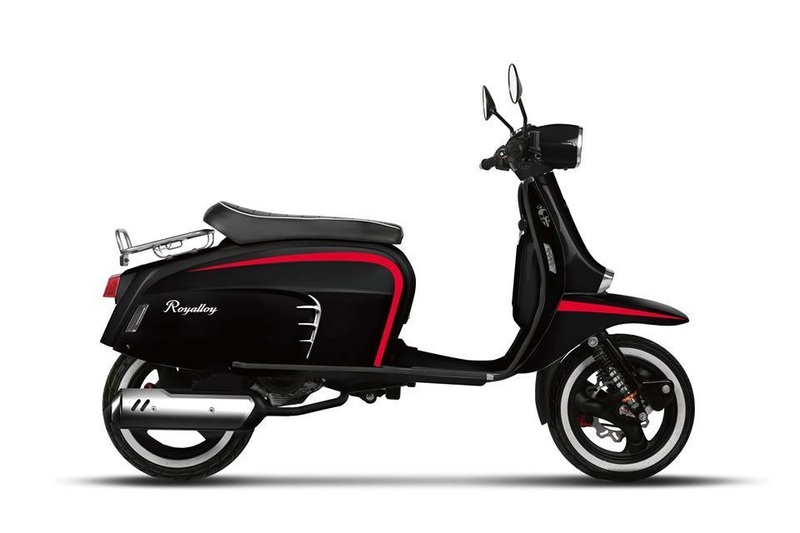 The Royal Alloy is so new that I know little about it, other than there will be plastic and steel bodied versions and it will be available in the UK soon via Carnaby Scooters. The classic brand Lambretta has been resurrected with a new scooter designed in Italy and built in China by SYM. 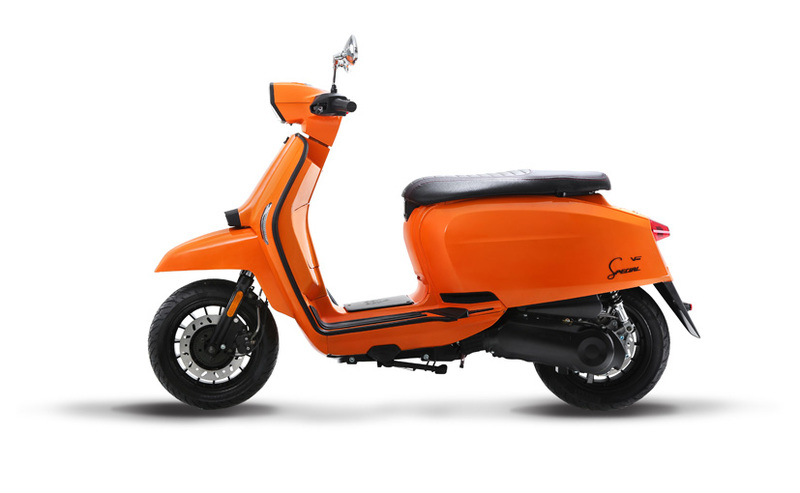 A slightly more modern twist, the ‘V’ scooter has yet to hit the roads in the UK so not sure how it will be received, looks nice in the press photos though! 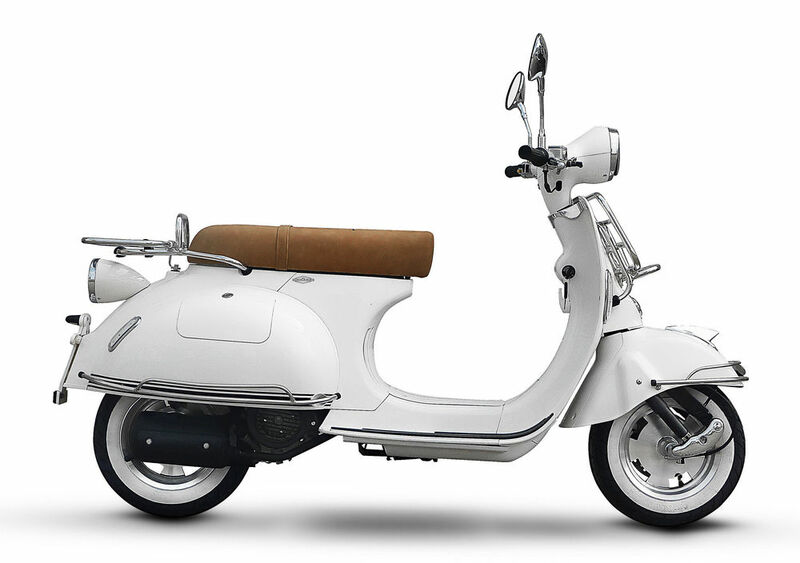 Verdict:Iconic name but will the scooter live up to it?